Ms. Ann Pollock, Senior Managing Director, is based in Chicago, Illinois. A proven expert, she has over 30 years of experience as a legal consultant and aircraft financial advisor. 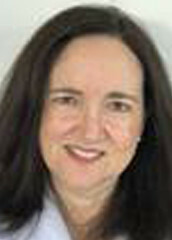 Ms. Pollock has negotiated settlements of aircraft-related contractual disputes and has structured and negotiated the acquisition, leading and disposition of dozens of aircraft. Ms. Pollock’s industry expertise includes extensive negotiation experience, including aircraft refurbishment contracts, lease terminations, aircraft leases, financings and acquisitions in the U.S. and more than two dozen foreign jurisdictions. She has represented airlines, lessors and lenders. In addition, she has restructured billions of dollars of leased and owned aircraft in Chapter 11 proceedings, including US Airways and CIT; and negotiated fleet acquisitions from Airbus for US Airways and South African Airways. In addition to airlines, Ms. Pollock maintains a broad client list in a range of industries including financial (Bank of America, CIT, Goldman Sachs), energy (Occidental Petroleum), governmental (Government of Armenia, Grupo Mexico) and communications (Verizon, T-Mobile). Ms. Pollock is a retired partner of Skadden Arps. She holds a J.D. from Harvard Law School and a B.A. from Yale University. is a business advisory firm that assists healthy and special situation middle market companies enhance enterprise value through game changing solutions which are achieved by combining hands-on management with broad strategic advisory experience. We tailor our approach to meet the needs of our clients in addressing the capital structure, strategic alternatives, and financial and operational performance. Our team supports companies, debtors, equity sponsors, Boards of Directors, secured and unsecured lenders, and other key stakeholders.